Stress, in and of itself, is not good or bad. It can be motivating. It can also be physically and psychologically harmful. The effect of stress is determined by your reaction to it so learning to manage it is a necessity. These group stress busting activities can help. Treasure hunts are a fun way to have groups work in smaller teams, teach problem-solving skills, and introduce a little friendly competition. 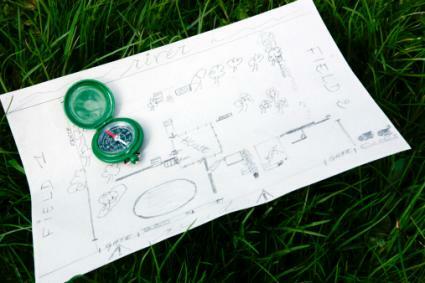 Treasure hunts can strengthen relationships, foster teamwork, and help new members fit in. They require critical thinking, creative problem solving, and friendly competition. Researchers have found that when people are physically active, in deep concentration and taking some type of risk, a psychological flow state occurs. During this flow state, people report being their most productive and feeling their best and most relaxed. Treasure hunts provide all three of these components: physical activity through finding clues, deep concentration through figuring out clues, and risk through competition. You'll need the following materials for this activity. Here is an example of a clue-focused treasure hunt. Decide the geographic scope of the hunt. Are you going to confine the hunt to the inside of a building (office or house) or are you going to have the teams leave the building? This will determine the types of clues you need to generate. Do an online search for treasure hunt clues. You can even make clues office-themed or modernize your treasure hunt using text messaging for clues and requiring teams to take pictures at each location to get the next clue. Make sure the answer to one clue leads to the next. If the answer to one clue is the coffee pot, the next should be placed near the coffee pot. The first team to find all the clues wins the prize (and the bragging rights). Everyone knows stress balls are great for relieving stress, but here's a twist of the typical "squeeze to release stress" that's normally used with these fun toys. Mindfulness - Mindfulness involves being in the moment rather than dwelling on the past or worrying about the future. By actively, consciously paying attention to the present, you live life to the fullest. While doing the exercise, group members were unlikely to be thinking about anything else. While doing the exercise, group members were having fun and losing themselves in the moment. Multitasking - The ability to multitask is a myth. People believe that they can "juggle" multiple tasks successfully, but no one can do several things at once as well as they can do one thing at a time. 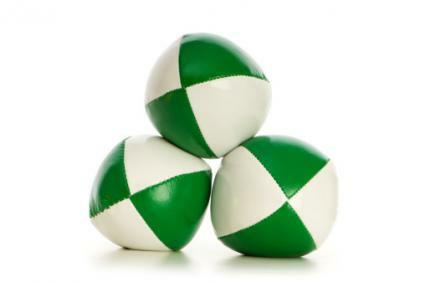 Discuss how easy the exercise was with one stress ball versus with several. Discuss how important it is to focus on responsibilities and use time management to get each one done individually and thoroughly. You will need stress balls (up to one per group member). One person starts out with one ball and tosses it to someone else, remembering who they tossed it to. The next person tosses it to someone who has not had the ball yet, remembering who they tossed it to. The third person tosses it to someone who has not had the ball yet, remembering who they tossed it to. This continues until everyone has had the ball, and it returns to the first person who started. The pattern is repeated (each person always tossing it to the same person) until it is remembered easily. Each person only needs to remember who they toss the stress ball to and who they receive it from. Once the group remembers the pattern easily, they introduce more balls into the same pattern, with the first person tossing one stress ball, then another, then another, to the same person, who then passes on each ball to the next person in the pattern. If balls fall or roll, pick them up and continue the pattern until everyone is laughing too hard to play effectively, or until about five minutes are up. Meditation has been used for thousands of years to bring about a deeper spirituality and understanding of one's place in the universe, to help accelerate physical healing, and to relieve anxiety and stress. There are many types of meditation, most of which can be done in groups in almost any setting and with very little equipment. Guided meditation is a form of meditation in which you use mental images to reduce stress. Having one person facilitate while the group engages in the meditation can be helpful for group stress release, especially if followed by a group discussion of experiences during the meditation. The shared experience of group meditation can improve group focus, create shared intention, and promote comfort and relaxation. You will need a guided meditation script and a comfortable place where group members can sit or lie with their eyes closed. Before the meditation, set an intention as a group. Have group members sit or lie comfortably with eyes closed. Lower the lights. Have the facilitator lead the group through the guided meditation script. Allow group members a few moments after the meditation to relax. Follow with a group discussion about their experiences during the meditation. Research is steadily showing that laughter has many health benefits, including stress relief. Laughter causes the brain to produce dopamine, the chemical responsible for feelings of happiness, motivation, and pain relief. By improving your mood, laughter allows you to gain a different perspective on difficult situations and connect more easily with others. 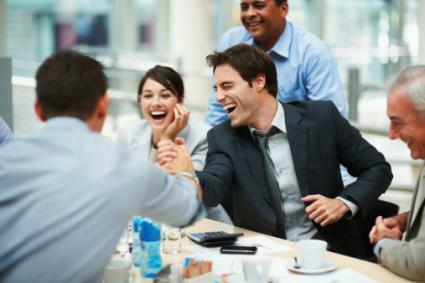 Laughing as a group relieves stress and can form stronger bonds within the group. Have your group bring in something that always make them laugh. It could be a story, a photo, a joke, a meme, or a favorite video. Have each person share their story/item with the group. Allow the group to benefit from each member's laughter. You can try these alternate methods, as well. Find a funny video or movie to watch as a group. Treat your group to a show at a comedy club. Take your group to a funny movie. Have a jar that everyone can write down funny moments and drop in and come together in a group to share them. Insert funny, relevant pictures to a Power Point presentation. Engage in forced group laughter . Have the group start laughing about nothing in particular, and soon the laughter will spontaneously become real and frequently uncontrollable. Sharing your gratitude within the group is a great way to improve group dynamics and relieve stress. The expression of gratitude decrease stress and illness and increases sleep and happiness. Frequently, people have a tendency to focus on what is negative about their lives or what is missing. This game of gratitude "Pictionary" is a great way to share within the group what everyone is grateful for. Have each player write on slips of paper several things for which they are grateful and hand their slips to the other team. Each player takes turns drawing a slip from the opposing team and attempting to draw it on the pad or white board while their teammates attempt to guess what they are drawing. Each round allows the team two minutes to draw and guess appropriately. Award one point for each time the team gets the image right. The team with the most points wins. Humans, by nature, are social creatures who live and operate in groups. The activities outlined above can be modified to fit any group type. There are several advantages to these stress management group activities. Participating in these activities together will ensure all of your group members are learning the same techniques. This will be very beneficial when the group experiences stress later. These activities will bond the group by strengthening the relationships between group members. Performing these activities as a group has the added benefit of adding support and increasing motivation to learn. Group members can encourage each other to put new skills in place and can help each other to do so. Researchers have known for a long time that many beneficial behaviors come from group work; the benefits of stress reduction are just another positive that is finally being fully recognized.